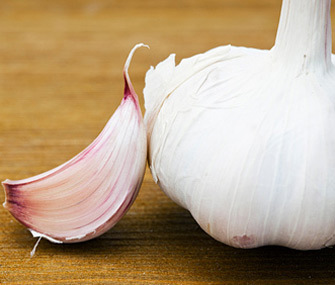 Can Garlic Help Keep My Dog's Fleas Away? Will Garlic Keep Fleas Away? The information in this article has been reviewed and updated. Q. I heard that giving garlic to dogs and cats is a natural way to get rid of fleas. Is it safe? Does it work? A. There's no evidence that garlic (or brewer's yeast, for that matter) will control fleas on pets — although a lot of people seem to think it will. The best advice I can offer when it comes to flea control is to ask your veterinarian for one of the newer flea-control products. They are safe when used as directed on healthy pets. And they're very effective. It’s also important to note that garlic can be toxic to pets. Check out the ASPCA Animal Poison Control Center’s list of foods to avoid feeding pets. If you're determined to control fleas "naturally," your best bet is to wash your pet's bedding and vacuum pet areas frequently to remove eggs and developing fleas. Use a flea comb to catch adult pests on your pet. Just flick adult fleas into a bowl of warm, soapy water and pour the drowned pests down the drain when you're done. (These strategies are good ones even if you're using a veterinary-recommended product.) This approach is labor-intensive, though, because you probably have to do it every day whether you see fleas on your pet or not. And even if you’re very thorough, it’s still difficult to remove all the fleas, eggs and larvae from the area if the environment is infested with fleas. The bottom line: I suggest a product recommended by your veterinarian for safe, effective flea control. “Natural” and “organic” pet health solutions found on the Internet are often ineffective, a waste of money and — worse — can be unsafe. Does My Dog Need a Yearly Vet Visit?